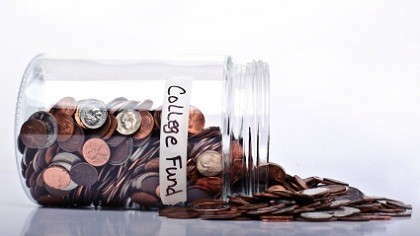 Saving for college can feel daunting without direction. Here are some great tips to get you started. College savings plans for your child's education is probably one of the biggest expenditures that you will have in your lifetime. When there is more than one child in the household, the financial commitment is multiplied. This is a financial challenge that is faced by virtually millions of other parents. As federal resources for education continue to dwindle, it is important to know about the options for families of all types to secure and save for college expenses in the future. Make a commitment to save each month whatever amount you can afford. To be more accurate, see a professional such as a financial planner at your bank or a school counselor to discuss the best way to calculate how much to save. There are calculators available through these professionals that can make the process easier. Savings accounts, annuities, taxable investment accounts and U.S. savings bonds remain easy to access and maintain as resources for saving college funds. This is because they are readily available through most banks and financial institutions which can be maintained in person and online. It is easy to setup an automatic savings plan through these types of accounts. Visit your local bank to inquire about how to set them up. Named after Section 529 of the Internal Revenue Code in 1996, a 529 Plan is designed specifically for education. Operated by a state or educational organization, it assists parents and families in setting aside sufficient funds for future costs associated with college expenses. There is much flexibility for the Section 429 plan, as it qualifies for colleges on a nationwide basis. Most of the time, the school chosen is unaffected by the choice of school. 529 plans typically are prepaid or savings plans. Through investing contributions in mutual funds or other investments, the plan offers several asset management options. This kind of educational savings account will rise or fall, fluctuating in value based upon the options selected. Savings plansfunction in the same way as a 401K or IRA with investment of contributions into mutual and other kinds of investment funds. These plans offer many investment options to choose from. Accounts fluctuate in value based on performance of the funds chosen. The prepaid plans allow for payment in advance or just a portion of the education costs. The funds may also be used through both out of state or private colleges, universities and other educational facilities. Prepaid plans allow for the pre-payment of part or all of your college education in your state public college. They may also be converted for use at private and out-of-state colleges. Independent 529 plans operate separately. Educational facilities may offer Independent 529 prepaid plans, but no 529 savings plans. At this time, only private colleges can offer Independent 529 savings plans. Most states offer tax savings incentives for those who establish college savings funds. Check with your local bank, tax adviser and the IRS for more information.